Here we have listed down the best deals Paytm Mall has on laptops, which are from brands like Lenovo, HP and more. Today, Paytm Mall is offering up to Rs 20,000 cashback on laptops. The e-commerce platform has a plenty of deals and discount on a wide range of laptops. 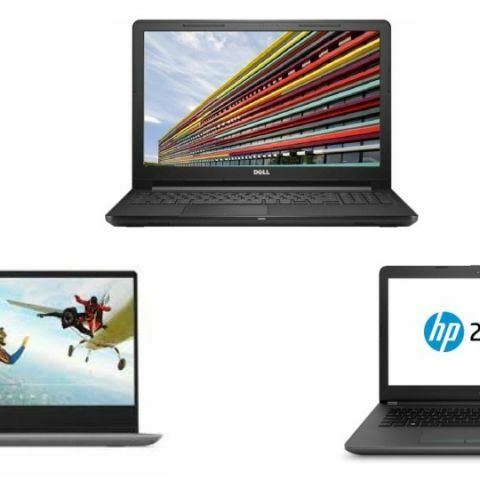 In this lister, we have added down the best laptop deals that are currently live on Paytm Mall. so, let’s take a look at the deals. The Lenovo Ideapad 320E is powered by an Intel Core i3 6th Gen processor, which is paired with 4GB RAM and 1TB hard drive. The laptop comes with a 15.6-inch display that offers a resolution of 1366 x 768 pixels. View deal here. The HP 240 G6 is powered by an Intel Core i3 6th Gen processor, which is paired with 4GB DDR4 RAM and 1TB hard disk. The laptop sports a 15.6-inch FHD display and as per the company, it has a battery life of up to six hours. View deal here. The Lenovo Ideapad 320 is backed by an AMD E2 dual-core processor. The laptop packs a 4GB RAM and 1TB hard drive. The machine comes with DOS, which means buyers need to buy and install OS on their own. View deal here. The Dell Vostro 3000 is powered by a Celeron dual-core 7th Gen processor, which is paired with 4GB RAM and 1TB hard drive. The laptop features an Intel HD 520 graphics card as well. View deal here. The HP 15Q laptop comes with an Intel Core i3 7th Gen processor, which is paired with 4GB RAM and 1TB hard drive. As far as the graphics card is concerned, it has an Intel HD 620 video memory card. View deal here.